- Flexible material based on mineral mica. - With small adddition of silicon resin. - Due to its special design, it works as a sliding surface for lining in CIF. - Electric insolation material in coreless induction furnaces. - Electric insolation element in channel furnace coil´s . - As a joint element in joints, coils, etc. In aluminium trasport ladles to protect the insolation against the water oiginated during the drying process. Flexible material based on mineral mica-flogopite quality - with small addition of silicon resin. Electric isolation in Coreless Induction Furnaces, Channel Furnace coils. 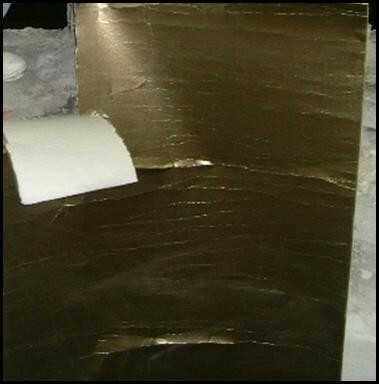 To stick the MICAFIBRA foil to the surface, use INDEDEN-C. Be sure that no voids are formed between the surface and the mica sheet.